Camtasia is the complete professional solution for high-quality screen recording, video editing and sharing. Camtasia makes video editing simple and intuitive. Anyone can create informative, engaging videos. The latest version of Camtasia opens up all-new possibilities for creating videos. 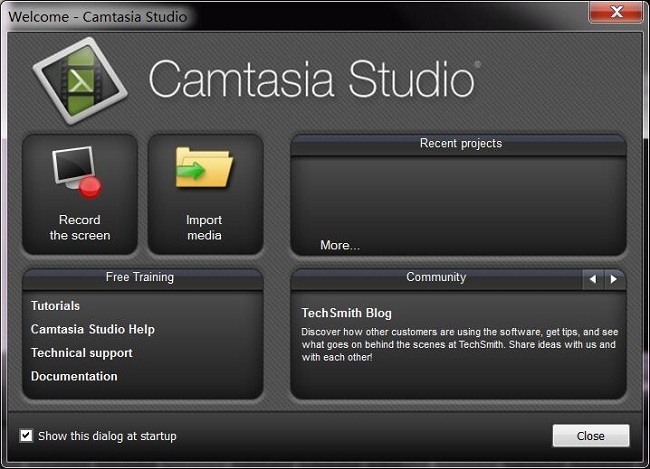 If you want to record some software tutorial, or some reviews, Camtasia can help you well. Or you have some other requirements to record the screen, you can also ask Camtasia for help. Camtasia Studio supports a simple and easy video editing and creating solutions for every one, even you have no video editing experiences, you can still create one unique videos by yourself easily and quickly. As streaming music service, Apple Music's songs are DRM protected. During you subscribe the Apple Music service, you can play, enjoy and download all the Apple Music songs. But you can't transfer the downloaded music songs to other audio player and so on. Firstly, you need to remove DRM from Apple Music songs and convert them to plain audio formats like MP3, AAC, and so on, and then transfer and copy the converted Audio files to Camtasia Studio. Now we'll show you how to convert Apple Music and then add Apple Music into a Camtasia video. To convert Apple Music and remove DRM from Apple Music, here we need the help of Macsome iTunes Converter. Macsome iTunes Converter is the tool to remove DRM from Apple Music and convert to MP3, AAC, FLAC, WAV and so on with upto 20X conversion speed and almost CD quality output. 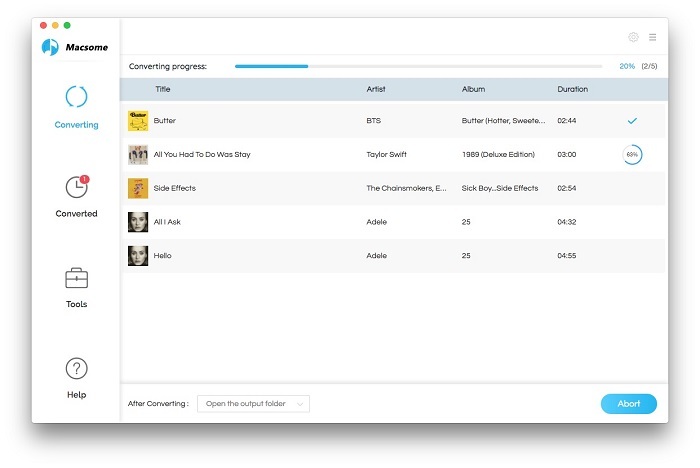 Convert downloaded Apple Music files to MP3, AAC, FLAC, WAV. Convert purchased Audiobook to MP3, AAC, FLAC, WAV. Remove DRM from protected Audio files. Convert iTunes Match Music files. Step 1, Click the following download link to download the latest trial version of iTunes Music Converter, install and run it. What you downloaded is a free trial version, which can convert 3 minutes each file. You can purchase to get the full version without limitations. Step 2. 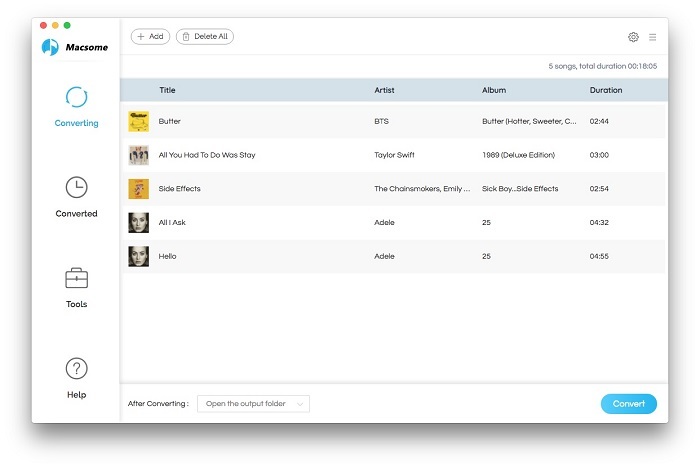 Click "+" to import the downloaded Apple Music files from the library or playlist. All the Apple Music files you have downloaded the Apple Music files you want to convert and they can work normally on your iTunes. Step 3. Click the setting icon to set the output format and output folder. There are four output formats including MP3, AAC, FLAC and WAV for you to choose. If necessary, you can also reset the related audio parameters. Moreover, you can reset the conversion speed, the default one is 10X. If you want to get a higher audio quality, you can choose a lower conversion speed. Step 4. Click the "CONVERT" button to start your converting. After the conversion, you can open the folder to find the converted files in MP3 format. 1. Download and install Camtasia if you have not, then launch it. 2. 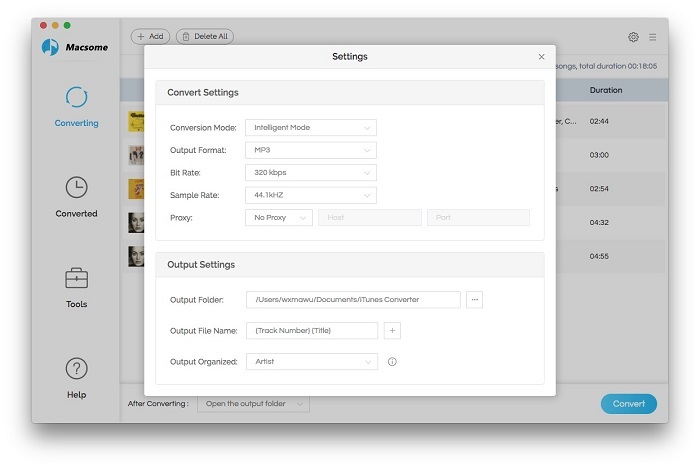 Click File > Library > Import Media to Library to add the converted Apple music, and then drag & drop the music from the library to the video project you are editing.